If you’ve been reading up on site promotion tips and techniques, you’ll know there are many ways to improve the traffic you’re getting to your site. Here’s a sequence of activities that includes one technique that’s sometimes overlooked: ensuring that your site is indexed by that powerhouse Google more quickly. 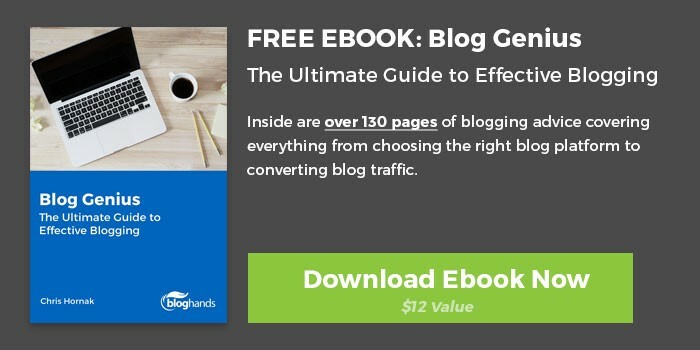 You create great content and post it to your blog, but, if you’re like most bloggers, you experience a delay before your shiny new post makes it onto Google’s search results pages. How long this takes can range from 4 days to 4 weeks or more, depending on the perceived popularity of your site (how many other sites are linking to it), the site’s structure, and your hosting. You can achieve faster — even near-instant — results by following seven steps to get your website even cozier with Google than it already is. 1. Set Up A Google Webmaster Tools Account. Google Webmaster Tools allows you to take control — well, some control — over how Google indexes your website. Anyone with a website can use it to monitor and maintain their website’s presence in their search results. To use this free service, it’s not obligatory to sign up, but it’s worth doing so to learn how Google sees your site and then optimize it for better rankings and better experiences for your visitors. Here, we will concentrate on submitting new content for crawling, which means that Google will check out your new content more quickly than usual (within minutes, not days or weeks) and it will consequently appear in search results faster. Follow the instructions to set up your account. First, you’ll need to verify your website so that Google knows what to look at. This involves entering the exact URL of your site and adding some unique code from Google to your homepage. Submit your sitemap and/or RSS Feed. Your sitemap is a file where you tell Google and other search engines how you’ve organized the content of your website. Although search engines can normally examine your site without this file, they can do so more intelligently when you have a sitemap in place. If you want people to find your site via searches, helping Google do its job is a good idea. Using sitemaps is particularly useful for large websites, very new sites, sites with pages that are not well linked together (such as some archives), and sites that contain a lot of rich media content. You may already have a sitemap, created automatically. If you have a blog, most platforms provide you with an RSS file, which you can also submit as a sitemap (though they only cover recent additions to your site). Check out your hosting service or blogging platform support to see where this file may be located on the server. Otherwise, you can create a sitemap manually or use any of a number of third-party tools. Once you’ve created your sitemap in this way, you’ll need to upload it to your website. When you have your sitemap URL or your RSS URL, hit ‘add sitemap’ in Google Webmaster Tools to submit it. When the text field opens up, enter the exact URL of the page on which you have new content. Then choose ‘Fetch’ to have Google attempt to visit the site or ‘Fetch and Render’ for the same plus an image of how Google sees the page compared to how a visitor would see it; click on the tick that appears to see these images. Learn how to setup Google Webmaster Tools. 2. Set Up Google Analytics. If you are not already using Google Analytics, you’ll discover that this powerful resource will help you learn an enormous amount about your visitors. Discover where they are coming from, what they were searching for, what pages they stay on longest, and much more. Though there is no official statement from Google. Installing Google Analytics may help to give Google a heads-up about your new content. Follow the instructions to install Google Analytics code that is unique to your website. 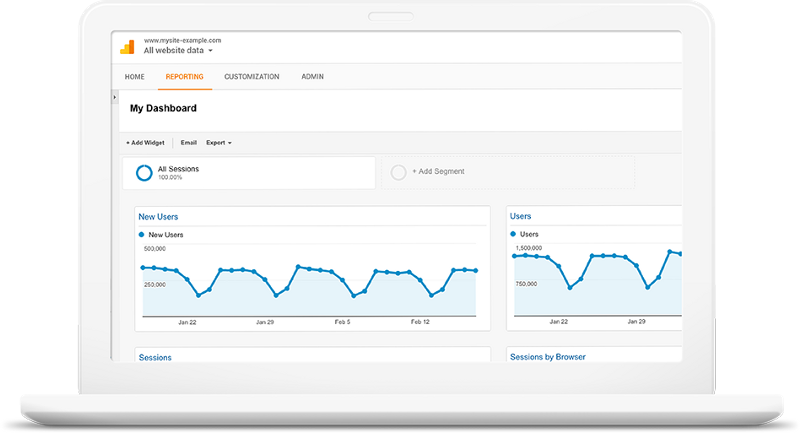 It works like a tracking device that monitors your site users’ behavior and reports back to you via the Google Analytics interface. You can use this information to make your site more useful or more focused, or to aid your marketing and sales efforts. Learn how to setup Google Analytics. 3. Ping Google About Your New Content. If you are using WordPress, you can use it’s Update Services to automatically notify other sites about your new content. It will tell relevant search engines and popular update services that you have added or altered content on your site. Otherwise, use Ping-O-Matic to keep popular update services — and, therefore, their users — in the loop about your new offerings. 4. Submit Your RSS To FeedBurner. If you have an RSS file, you can — and should — ping Google’s RSS tool, FeedBurner. Using your RSS to submit updates here means that your new posts may be seen by more people more quickly. 5. Share New Content On Major Social Networks. Now, in addition to the sitemap and RSS wizardry mentioned above, return to the old favorites. Sharing new content on the most popular social networks is a fantastic way to bring traffic to your site, providing that your content is relevant to the demographics using those social media platforms. In combination with ensuring that your site is indexed by Google and letting popular update services know that you have new content, using social media can provide a significant boost to your traffic. A tool like buffer app can help you more easily share content. Like social networks, these gigantic sites are crawled by search engines more often than yours will be. Getting your content noticed by search engines via bookmarking sites means that your site will be spotted more quickly and external links to your site from these reputable sources may improve your ranking and organic traffic. Try bookmarking sites like Delicious, StumbleUpon, and Scoop.It. 8. Have An On-Going Content Marketing Strategy. Make sure that your content marketing strategy acknowledges the benefits of having your content regularly updated, shared, and linked to from various sources. If your site is consistently updated and keeps appearing in the right places, Google will start to crawl your site more frequently. Being listed more quickly whenever you have new content means more traffic, faster. While there are benefits to doing this as a one-off, it’s a long-term strategy. Being consistent with these steps will result in your content being indexed more quickly, adding another way of getting more traffic to your site and getting ahead of your competition. Using some of these techniques might mean enduring a bit of a learning curve, but you’ll soon master them. The elements that are automated will do a lot of the work for you. Ensure that they are part of your marketing strategy and keep it up. When Google is impressed enough with your publication schedule and your perceived authority, you could find yourself in a position where your content is indexed almost instantly. You’ll no longer need to worry about getting google to index your website content.